Custom Painting of Asheville, Inc. Comment: We have a 2 story house with basement. Brick exterior on 3 sides. Need exterior repainted including chimney. Comment: It's a brick house, so just the trim, doors, windows and collums need to be repainted. Comment: The chimney was recently rebuilt it is primed and caulked but needs to be painted. Additionally, we had new gutters/roofing put in and there is wood exposed that needs to be painted around all gutters. I would also be interested in seeing if we could paint the shutters. Comment: I have two decks that need to be restained. One has been pressure washed but appears to be rough. 251 S. Morgan Branch Rd. 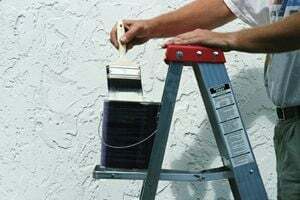 Arden Painting Contractors are rated 4.78 out of 5 based on 417 reviews of 31 pros. Not Looking for Painting Contractors in Arden, NC?